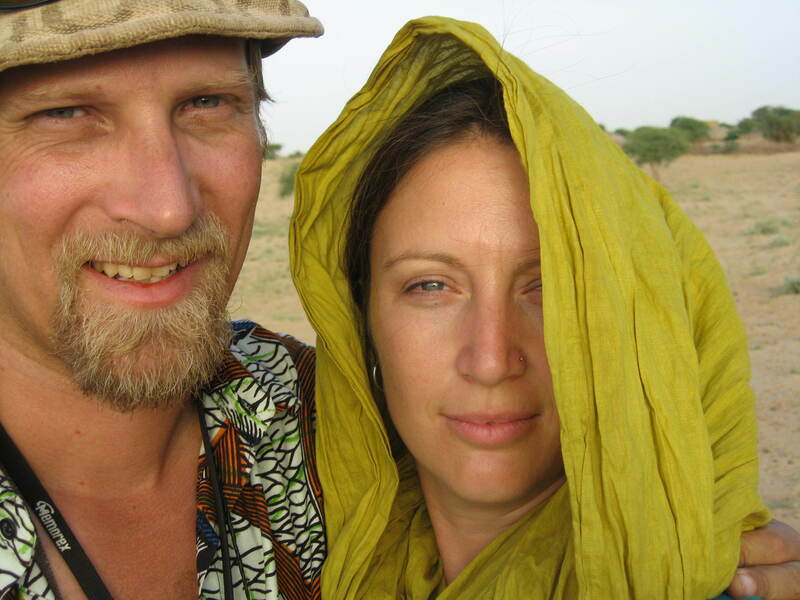 Peace Corps volunteers Cynthia Hellmann and Gregory Flatt didn’t anticipate falling in love in Mali nearly 15 years ago. They also didn't plan on dedicating the rest of their lives to helping those who made the West African country feel like their second home. 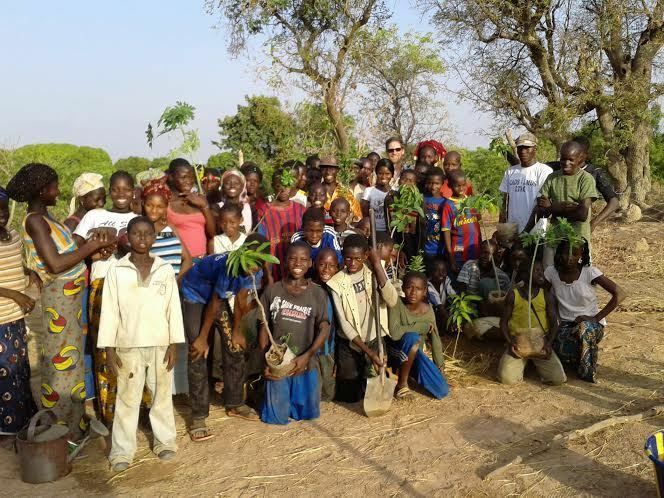 Right after college, Flatt, a Massachusetts native, began his two-year Peace Corps service in Mali as an agriculture extension agent. He worked in a village of subsistence farmers, while also playing guitar and singing with a group of Malian musicians. After his Peace Corps stint, he spent an extra year in country recording and producing an album with local artists. Hellmann left an organic farm in Vermont to become a Peace Corps volunteer at age 27. A singer herself, she was intrigued by the music in Mali -- Flatt's band in particular. That passion for music helped bring them together. But Flatt and Hellmann said they were also drawn closer by their shared reaction to Mali: They were both struck by the people's overwhelming friendliness and by their skills and resourcefulness when it came to living off the land. Many aid organizations take a top-down approach, and Flatt and Hellmann saw how that model often missed the strengths and the long-term needs of the local people. Upon their return to the U.S., the couple chose to earn master’s degrees in sustainable development from the School for International Training in southern Vermont, in an effort to find a better way to help. "We wanted to learn how to participate in a way that was showing solidarity with people -- not imposing a Western approach," Hellmann told The Huffington Post. "There are a lot of development initiatives that happen that don’t involve the participation of people in the village communities, there’s little to no agency among the folks in the village, and people are often left out of the equation entirely, which just seems really counterproductive and counterintuitive to us." They focused their studies on sustainable agriculture and food systems, and worked on the organic farm that Hellmann had initially left for the Peace Corps. In 2005, Flatt and Hellmann were both recruited by a French development agency to return to Mali. They were grateful for the agency's financial support, but they saw again how the Malian people were quite capable of running their own farms in a sustainable fashion without the Westerners' advice -- and how the money they were being paid could have gone a very long way in the community. Within two years, they had founded their own nonprofit, Ecova Mali. The organization hires Malian farming experts to provide direct agricultural and business training to their fellow Malian farmers. With micro loans, mini grants and community projects, Ecova Mali aims to promote economic development, environmentally friendly practices and increased food security. "We wanted to give back what they had given to us," said Hellmann. Soon after launching Ecova Mali, Flatt and Hellmann met New York Times best-selling author John Perkins, who featured their story in his book The Secret History of the American Empire. After the book’s release, Flatt was contacted by an employee of Lush Fresh Handmade Cosmetics, who suggested Ecova Mali apply for a grant from the company. 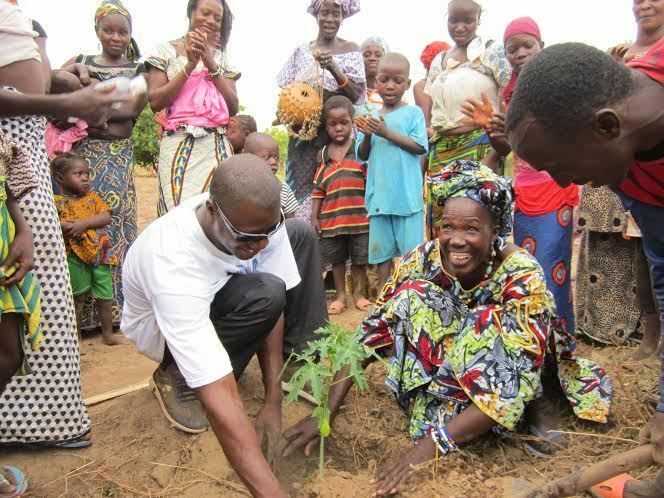 In 2009, Ecova Mali was able to build a permanent training center and field office on Malian soil with assistance from Lush's Charity Pot program. The 501(c)(3) organization has full- and part-time staff as well as contract workers. While Hellmann and Flatt serve as Ecova Mali’s co-directors, they seek to give most of the decision-making power on the ground to the Malians themselves. "We want to manage the organization in such a way that the Malians and country director and other staff are totally empowered to run the organization," said Hellmann. "We participate in discussions about the direction of the organization, but we really strongly feel that it is a Malian organization, run by Malian people for Malian people, and our job here in the United States is to market and publicize the organization and raise money for the organization and make it possible." Ecova Mali runs on an annual budget of about $5,000, and thus far they have drawn no salary. They take turns traveling to Mali once a year to check in and plan on visiting together later this year to put a new grant from Lush to good use. "There’s been no room for us to compensate ourselves financially, and that’s never really been the goal," said Flatt. "We just see ourselves as agents that are able to make this work happen. We’ve had to make some adjustments and sacrifices in our own lives to be able to do the things that mean the most to us." One of the organization’s most effective projects began soon after the coup d’état in Mali in early 2012, which sealed the landlocked country’s borders. International aid groups reduced their support operations even as a region-wide food crisis began to afflict the people of West Africa. "People are mostly subsistence farmers in Mali, meaning they grow all of their own food," said Flatt. "They grow it all in the rainy season, and hopefully what they’ve grown will last them through the next dry season. A lot of people had run out food, and we had been hearing from some of our community friends that people were really struggling." So Ecova Mali adapted a food bank system that Flatt had witnessed during his Peace Corps days, in which every family placed one-third of its current harvest in a community grain bank and lived off the rest. Should a family run out, it could then turn to the community bank for a withdrawal. The community also permitted goodwill withdrawals on credit. Any surplus left at the end of the year was divided proportionally among those families with a remaining balance. The success of Ecova Mali has not gone unnoticed by others in the sustainable agriculture sector. Food Tank, a nonprofit that works for a healthy, safe and nourishing global food system, included Ecova Mali in its "40 Organizations That Are Shaking Up the Food System" list last year. Wear Africa, a startup that seeks to invest in sustainable development in Africa, named Ecova Mali its July 2014 Charity of the Month. After Flatt and Hellmann’s twins were born in 2010, the couple decided that one parent should stay at home with the children. Flatt left his paid job with the Peace Corps to do that, while Hellmann continued working at Oxfam America. As soon as the twins head to preschool this fall, Flatt will have more time to focus on taking Ecova Mali to the next level. "I’m in the process of developing a fair-trade import business that will work in partnership with Ecova Mali, essentially providing a fair-trade international market channel for Malian producers to get some of their high-quality and sought-after products to the global market and get a fair pay for it," said Flatt. He described their initial work with shea butter products as a raging success.